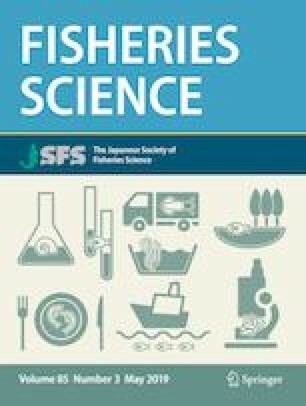 Treated sewage discharge has been reported to affect multiple levels of biological organization in fish and fish community structure. In this study, a split-plot ANOVA design was used to test species diversity of fish assemblages in Taiwan. The samples were collected seasonally, from 2005 to 2016, at three different stations near the ocean outfall pipeline of a sewage treatment plant in northern Taiwan. The significance of differences in abundance, species richness, and phylogenetic diversity of fish assemblages were tested. Using the ANOVA model, the significance of yearly and seasonal differences could be tested simultaneously. The results suggest that yearly and seasonal effects were not significant for any of the three components of diversity tested during the 12-year period. The results also suggest that the distance from the outfall of the ocean pipeline had no significant impact on species diversity. This work was supported in part by funding from the Ministry of Science and Technology, Taiwan to H. C. (grant no. MOST 107-2313-B-002-010-MY3) and through a long-term monitoring project to K.-T. S. and G.-C. G. The authors thank Sinotech Engineering Services and the Sewerage Systems Office, Public Works Department, Taipei City Government for supporting the monitoring project.